The Hair Fair 2016 is fast approaching and as always it will the highlight of the year for every hair addict on the grid! It’s not all about just about having an amazing one stop shop to get many of the latest designs from the grids best hair designers but Hair Fair has serious job to do too in support of Wigs for Kids. 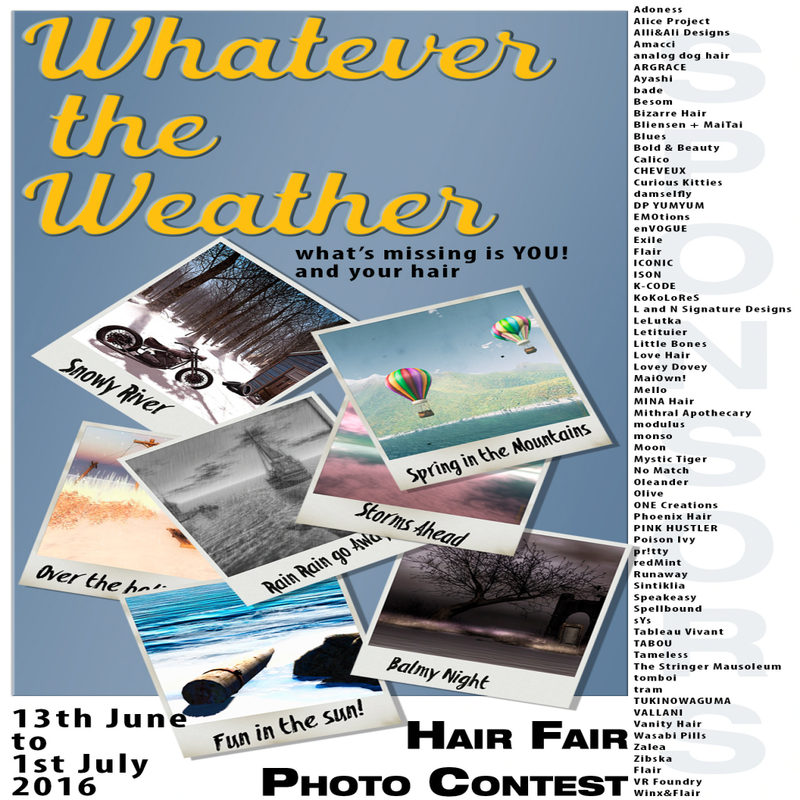 For those of us that enjoy a dabble in photography the Hair Fair Photo Contest is a must join event too. Last year I was honoured that one of my entries was selected as a Runner Up with the picture below. All the winning and runner up entries are displayed at the sims during the event too which was a total buzz. This year’s theme is Whatever the Weather and all the details of how to enter, the rules and specifications can all be found on the Hair Fair blog. The prizes are yet again epic and will make any hair lover green with envy if you’re lucky enough to win. Entries open on the 13th so you can start snapping today and have entries ready to post when the contest opens on Monday! Good Luck everyone! See you at the Hair Fair!